Our goal is to make the Story Workshop a realistic option for people who have been unable to attend due to cost. Scholarships will be offered based on demonstrated financial need with a focus on diverse voices, people of color, and those who have been historically underrepresented as makers of public media. Qualification for the Scholarship is considered once the applicant is accepted to the Workshop. For now, Scholarship funds are available only to people living in the U.S.
Transom is prepared to pay one or more partial Scholarships, and one full Scholarship, if an accepted applicant requires it. A full scholarship includes tuition, housing, group meals, travel to and from Woods Hole and a possible stipend. Scholarship applicants are required to complete both a Workshop application and a Scholarship application. Both have the same deadline. We ask you to complete and submit your application to the Workshop first. You can find general information about the Workshop here and your can visit our FAQ here. All applications and materials are due on May 31st at 11:59 P.M. EST. 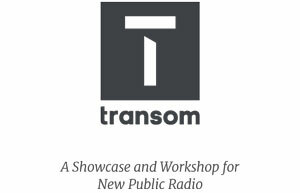 If you have any questions along the way, you can reach us at info [at] transom [dot] org. 2. I have completed and submitted my application for the Story Workshop. (note: If your answer is "not yet" we urge you to do that first. We can't consider you for a scholarship until we know you are a fit for the Workshop itself.) *This question is required. 3. Which ethnic group do you most closely identify with? 4. The goal of Story Workshop Scholarship is to make the Workshop a realistic option for people who have been unable to attend due to cost with a focus on diverse voices, people of color, and those who have been historically underrepresented as makers of public media. Please tell us how this description applies to you. 5. Would you like to be considered for a full or partial scholarship? (Reminder: We can only fund one full scholarship for an applicant who requires it. We anticipate the competition for it will be steep.) *This question is required. Our goal is for the scholarship fund to have the greatest possible impact. The average total cost to attend the Workshop is between $9,105 and $9,780 depending on housing. This includes tuition, your own license for Hindenburg Journalist audio editing software, a one-year membership to both the Association of Independents in Radio (AIR) and the Public Radio Exchange (PRX), fees for special guests, gatherings, and events, housing and two group meals a week. Given that, how much of the $9,105 and $9,780 do you think you can cover? Please respond honestly. If the amount is zero, please enter zero. It will be necessary for you to get to Woods Hole, MA, and back from your home. For full Scholarship applicants ONLY, will you be able to afford that trip? If not, please estimate the amount of assistance required. Full Scholarship recipients may be reimbursed for reasonable travel expenses within the United States to and from the Workshop. If you answered no, please estimate what your travel expenses will be. Please enter an 'other' value for this selection. In addition to the costs mentioned above, there will be day-to-day expenses while you're at the Workshop. For example, transportation while you're here, food and other basic needs. For full Scholarship applicants ONLY, will you be able to cover these additional costs? If not, please explain. Please explain Please enter an 'other' value for this selection. 9. Are you applying for other scholarships, financial aid, grants, etc. If so, please explain. *This question is required. If yes, please explain Please enter an 'other' value for this selection. 10. Did anyone (parent, guardian, etc.) claim you as a dependent in the last tax year? *This question is required. 11. Please enter your adjusted gross income from last year. You can find this on your most recent U.S. federal income tax return (IRS Form 1040 - line 37; 1040A - line 21; or 1040EZ - line 4). If you didn't file a return, please enter the amount you earned during the last calendar year. If you didn't earn anything, please enter "0". *This question is required. 12. Please enter the total amount of untaxed income and benefits you received last year. Include nontaxable interest, Social Security benefits, etc. Do not include earnings reported in your adjusted gross income figure. *This question is required. 13. Please enter the current or estimated balance of any checking and/or savings accounts. Do not include lump sum pension funds or student financial aid. *This question is required. 14. Tell us about your current job - where you work, job title, how long you've been there and your gross earnings/salary year to date. *This question is required. 15. Please enter your current marital status. *This question is required. 16. If you are applying as a dependent, please share your parents' marital status. If your parents are widowed or divorced, answer for the parent you live with. *This question is required. 17. If unmarried, please enter N/A in the box below. If you are married, please enter your spouse's income earned from work. Include income from wages, salaries, tips, combat pay, etc. reported on the most recent U.S. federal income tax return. If your spouse used the IRS 1040 Form: total lines 7 + 12 + 18 + Box 14 of IRS Schedule K-1 (Form 1065); 1040A: line 7, of 1040EZ: line 1. If no return was filed, add the amounts from your spouse's W-2 forms. If you and your spouse filed a joint return, enter only your spouse's earnings. *This question is required. 18. If unmarried, please enter N/A in the box below. If married, what is your spouse's curent employment information (if applicable) - place of employment, job title, length of employment, and gross earnings/salary year to date? *This question is required. 19. How many people will you or your parents support during the time you're at the Story Workshop? Include yourself and anyone else living in the household. *This question is required. 20. If you're applying as a dependent, enter your parents' adjusted gross income. If you're applying as an independent, enter N/A. You can find your parent's adjusted gross income on their most recent U.S. federal income tax return (IRS 1040 - line 37; 1040A - line 21; or 1040EZ - line 4). If no return was filed, enter the amount your parent(s) earned during the last calendar year. If none, enter "0." *This question is required. 21. Enter the total untaxed income and benefits your parent(s) received last year. Include nontaxable interest and dividends, welfare benefits (including TANF), Social Security benefits, child support, Worker's Compensation, Earned Income Credit, etc. If not applying as a dependent, enter N/A. *This question is required. 22. Please tell us the amount of your & your spouse's (if independent) or your parents' (if dependent) real estate equity, by which we mean the current value minus debt. Real estate includes rental property, land, second homes or summer homes. Do not include your primary home. *This question is required. 23. Please tell us the amount of your & your spouse's (if independent) or your parents' (if dependent) investment equity. Investments include trust funds, UGMA and UTMA accounts, money market funds, mutual funds, certificates of deposit, stocks, bonds, other securities, Coverdell savings accounts, 529 college savings plans, the refund value of 529 state prepared tuition plans, installment and land sale contracts (including mortgages held), commodities, etc. Do not include the value of life insurance policies or retirement plans (pension funds, annuities, non-educational IRAs, Keogh plans, etc.) *This question is required. 24. Please tell us the amount of your and your spouse's (if independent) or your parents' (if dependent) business equity, by which we mean current value minus amount owed. Do not include the value of a small business that your parents own and control and that has 100 or fewer full time or full-time equivalent employees. *This question is required. Enough numbers. Please tell us anything else you think is important to know about you, your financial situation, and your suitability for scholarship funds (in 500 words or less). 26. By signing below, you are verifying that all the information you have provided is accurate and truthful. If necessary you will provide tax returns, bank or investment statements, paycheck stubs, and other necessary documentation that corroborates the information you have provided here. You are also acknowledging that you understand Transom may ask for this information at any time, and your ability or refusal to provide such documentation may effect Transom's admissions decision and/or the awarding of a scholarship. *This question is required.